Vanessa Morrow, aka nessavay, is a powerhouse of film goodness and one of my analog heroines. 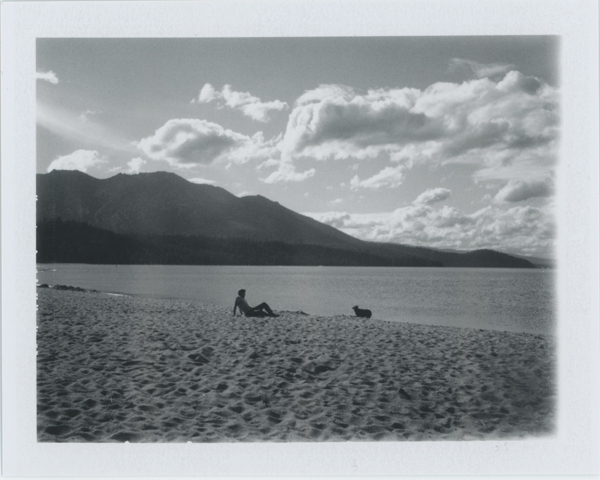 She is the co-founder of the Doubles Project and a huge lover of Polaroid. Vanessa took a huge road trip, she also took along several cameras. 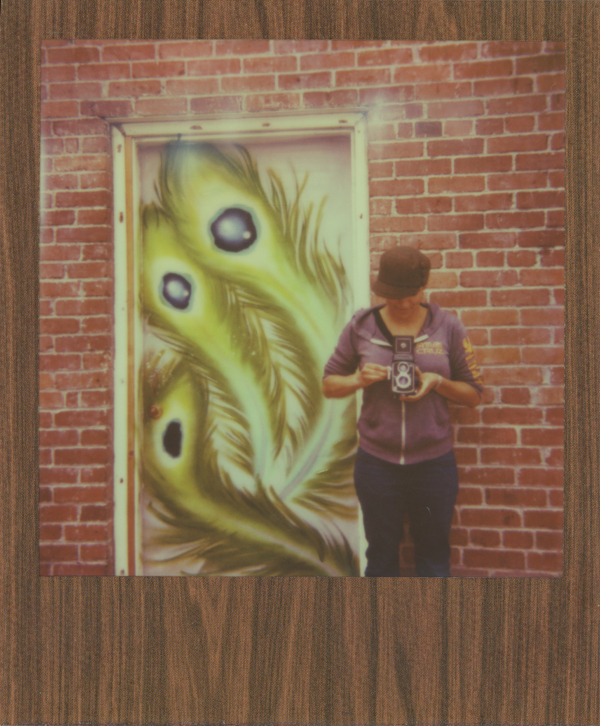 I was lucky enough to have lunch with my fellow Vanessa, and she (swoon) took my picture with impossible film after lunch. 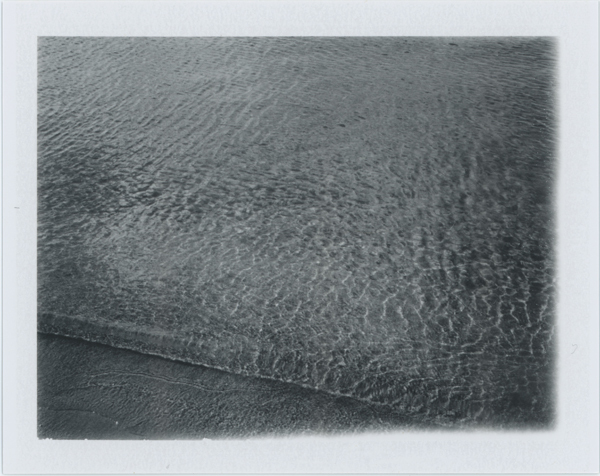 When the idea of Polaroid meets travel came up between the Muses, I instantly (pun intended) knew who I needed to ask to guest post for me this month. Thank you Vanessa, for continuing to inspire me and sharing with us today. 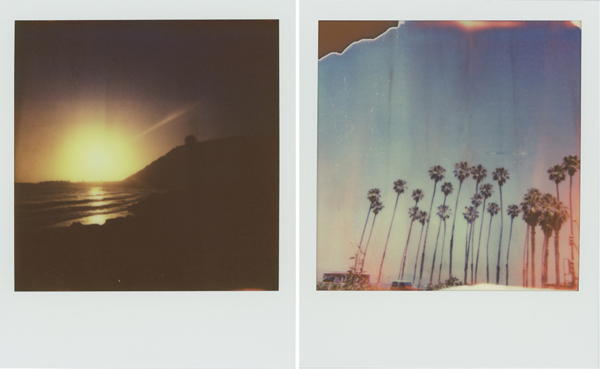 Without further ado, I give you Vanessa Morrow, and her amazing instant photography…. Last stop as I was leaving Oregon behind to get gas at Luv’s. They have the best gas station logo ever. This summer, I’ve had some big shifts happening in my life so in mid-June I decided it was time to hit the road for a bit and clear my head. Nothing is better for a bit of life clarity than a solo road-trip, in my opinion. I had many, many long stretches of driving all by myself (as in six to eight hour stretches). That meant lots of music, podcasts, stops to take photos, redbulls (a bit ashamed about that, but a girl has got to stay awake on the road) and a whole lot of thinking. 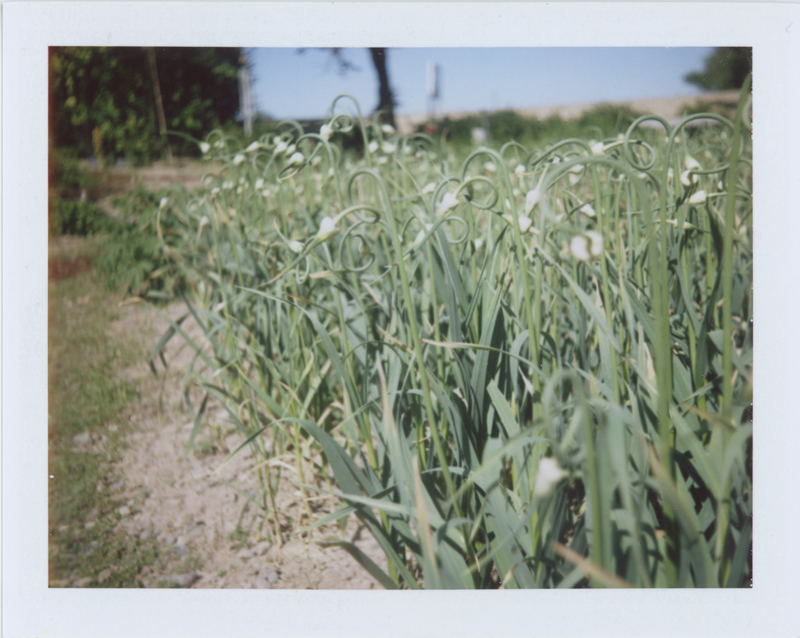 At my hostel in Boise, a mini field of garlic scapes captivated me. On this trip, I learned so many things. I learned that I am a very lucky lady with so many awesome friends across this country who were willing to open their homes to me. I re-learned that I really do enjoy spending time on my own. 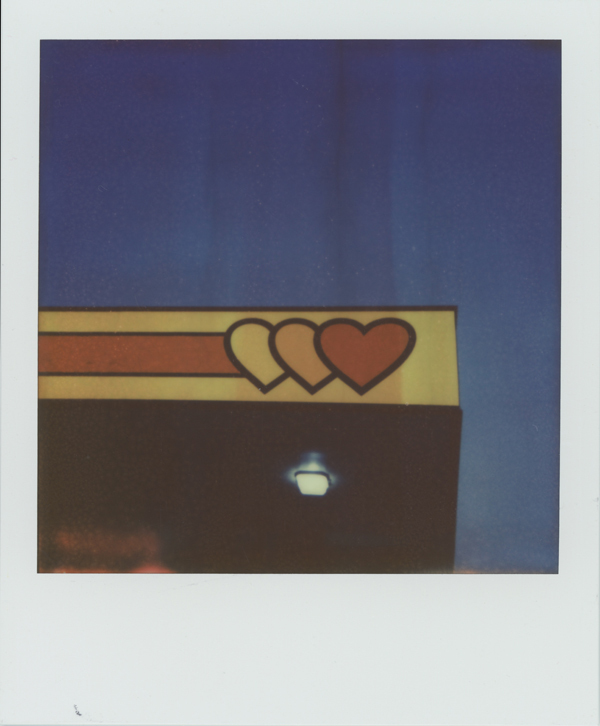 I learned that instant photography and road-trips are pretty awesome together. I learned that I don’t need anybody else to make me happy. Sometimes, the open road and the freedom of being on my own caused a lovely source of happy to bubble up inside of me. I learned that I live in a vastly gorgeous country and I need to explore it more. I’ve barely touched the tip of the iceberg! And I learned that Portland will always be my home. Isn’t it always nice to return home at the end of a long trip? It sure felt that way for me. While visiting my friend Steph in Utah, we took a trip up to Mirror Lake and walked around the whole lake. These little flowers were blooming everywhere. On the photography side of things, I packed 14 cameras in the car with me! Yes, I know that is a crazy amount of cameras but that’s the beauty of a road-trip, plenty of room to pack what you want. I think I used 12 of the 14, at various points in the trip. I also packed all the film I owned (and was gifted a bit along the way). 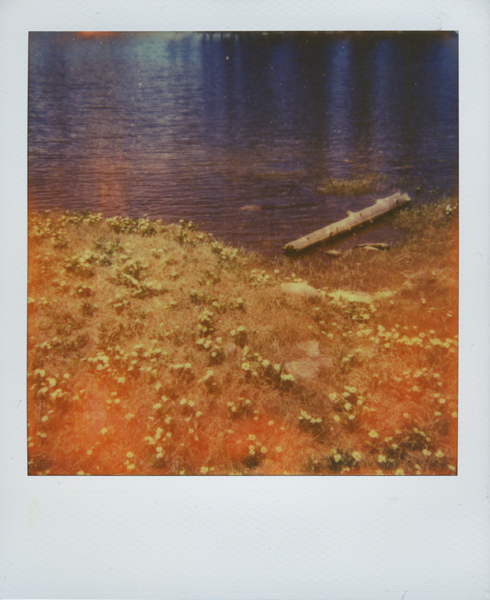 The cameras I found myself using the most over the trip was my Polaroids. I couldn’t get enough of seeing my photos instantly. And it made it more fun to share my photos with others over the course of the trip. My iPhone was dying and I wanted a pano of Bald Mountain, so my handy colopack came to the rescue. I was captivated by the barns of Utah, this is about an hour outside of Salt Lake City. All the photos you see here were make with one of these cameras: Polaroid OneStep Close-Up 600, Polaroid Colorpack, Polaroid Land Camera 420 and Polaroid Spectra. 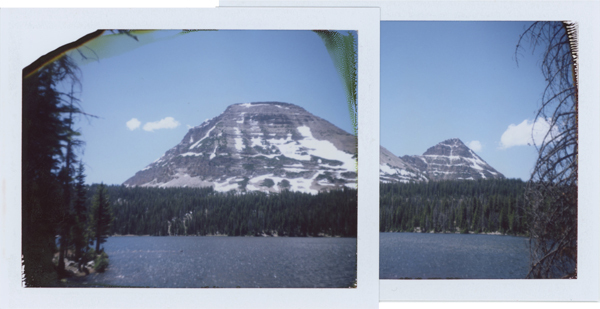 I used Impossible Project integral film and Fuji peel-apart film. I shot just shy of 100 images over the course of the trip! That’s a whole lot of instant joy. 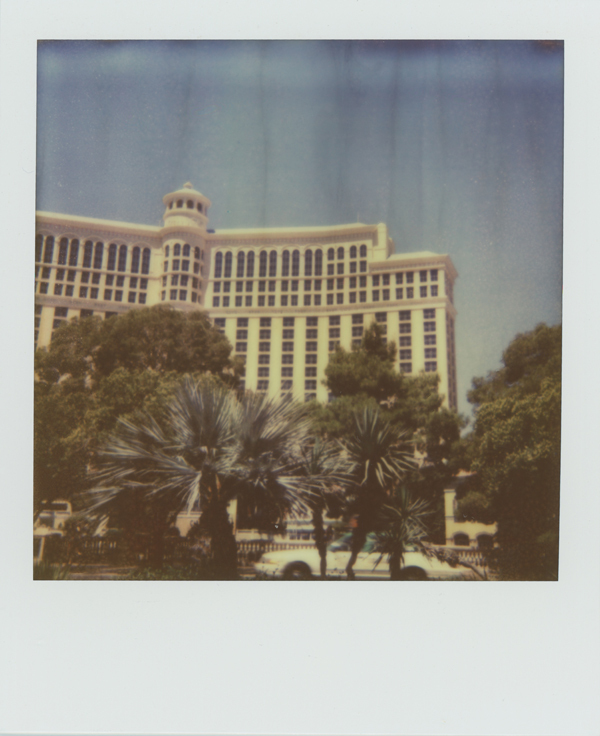 The infamous Bellagio Hotel (no, I didn’t stay there–too expensive), my last shot from my stop in Vegas. I did see the fountain show… my goodness, it was spectacular. Santa Barbara! One of my favorite places ever. I just couldn’t get over all the gorgeous sunsets on the ocean or the palm trees everywhere. An unexpected detour to Tahoe got added to my trip. The beauty there was just astounding. A huge thanks to my friend Nessie, for featuring me here. After knowing her for years via flickr & instagram, I was pretty stoked I got to meet her in person during this trip. Got to meet up with my Reno counterpart! I will be posting more in-depth tales of my trip on my blog in the next couple of weeks. You can also see my instagram photos (she’s @nessavay)of the trip under this hashtag: #vanessaandthemormons. Ahh! The long road home to Portland. What a great trip it was! the utah barn shot is award winning. love how you paired the last two. so happy to see you here musing with us! 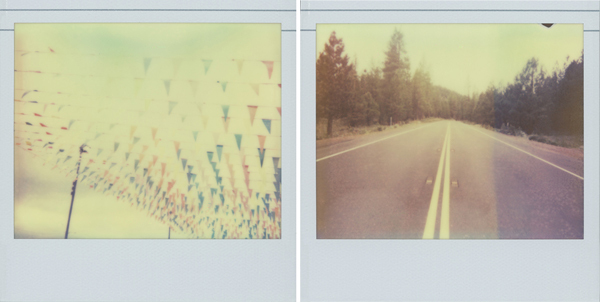 I’m totally inspired to buy loads of instant film and hit the road again. Thanks Vanessa’s for sharing this guest post! I see your photos and can’t help but smile. I’m so happy I was a small part of your big road trip. Oh I love a good solo road trip! 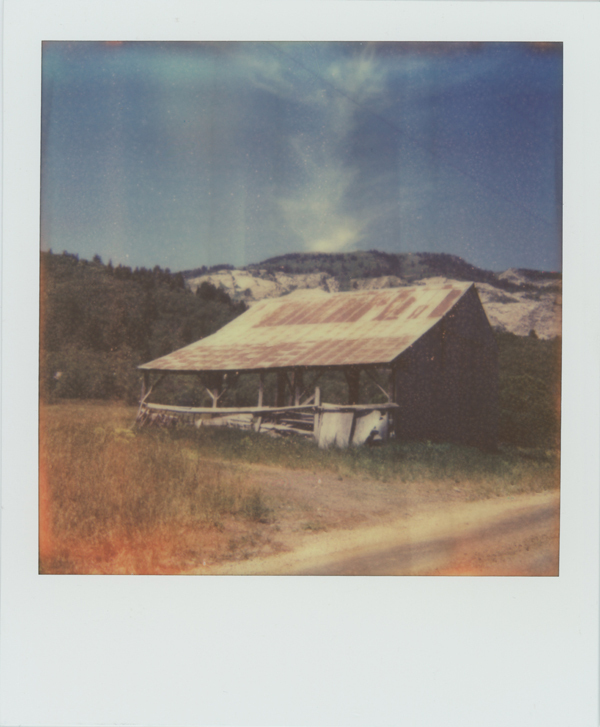 Thanks Vanessa for sharing yours with us, and I agree with Cara, the barn shot is AH-Mazing! Vanessa – Thank you for sharing this amazing trip with us. beautiful work, as always! Love Vanessa and the magic she creates with all of her cameras. Her instant work is always inspiring! Thanks for sharing! This was a treat! I’ve already favorited a few of these on flickr & ig, but it’s so nice to see the story of the trip unfold here. thanks, everybody! I am totally honored to be a muse today. i’m a big fan of this site, i’m happy to share my trip here! you guys are awesome. WOW! I loved hearing about your road trip and am so glad you and Vanessa got to meet up! You have a magic touch with those 14 cameras lady, I’m so glad you shared some of your shots with us! your trip sounds so dreamy. love seeing all your images!